Calamondin is a very adorable plant for indoor as well as outdoor gardening. 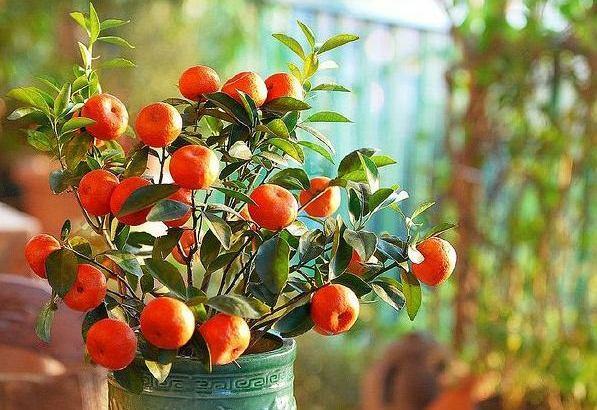 Its shiny green leaves, miniature orange fruit and symmetrical growth make it a perfect ornamental plant. This beautiful and versatile plant is good for container gardening as well as a small tree for your garden. Besides its ornamental value, Calamondin is extensively used for its culinary and medicinal value. It is used extensively in Philippine cuisine as well as in many household remedies for cough, acne and insect bites. Calamondin is also an important ingredient in cosmetic products like hair conditioners and body deodorants. Calamondin is seldom without its tiny fragrant flowers or miniature fruits – both add to the beauty of this small plant. Calamondin is actually a hybrid of Mandarin orange and Kumquat and is believed to have originated from China. That is why, it is also known as Chinese Orange. Fruit of Calamondin is used in many forms – it is frozen and used as ice cube for ice tea, crushed to use in marmalade, or squeezed for its juice which is used in lemonade or to season fish and other Asian dishes. Taste of Calamondin fruit is sour but the peel is sweet. Calamondin is easy to grow at home. It can be grown as ornamental plant in containers or as small tree in gardens. When grown in container, it has to be repotted every two or three years to give sufficient room to its roots that grow vigorously. Water only when the soil is dry and protect the plant from frost. Calamondin thrives well as indoor plant provided that it receives bright sunlight during the day. As container plant, Calamondin hardly reached beyond 3 feet. However when planted in the ground, Calamondin would become a small shrubby tree reaching 6 feet or more.